Every year the world commemorates the World Water Day on the 22nd of March. The purpose of this is to have people focus on the importance of freshwater so that they can work to manage it sustainably. Uganda proceeded the day with a Water and Environment Week that started March 18 culminating into the March 22 ‘celebrations’ that were held at the Water Resources Institute in Entebbe. The water week events have coincided with a natural disaster for Uganda – an unexpected dry spell in most parts of the country – which meteorologists attributed to the Tropical Cyclone Idai in Southern Africa. The cycle is blamed for having ‘diverted moisture’ from the Indian Ocean that was supposed to form rain in our region. It ended up wrecking havoc in Mozambique and Zimbabwe. Initial figures have suggested that at least 700 people may have perished due to the Cyclone in Mozambique, Zimbabwe and Malawi. But before the cyclone hit, our neteorologists had announced the start of the March to May season when rains fell in February. And people responded positively, planting their precious seeds in the hope of a good harvest. But most of the seeds have been baked by the hot sun and where crops had germinated, they have wilted. Many have given up hope are the skies are not giving rain. The water week events are therefore a great opportunity for all Ugandans to reflect on our preparedness to break the vicious cycle of droughts arising from dependence on rain for agriculture, and their impact on the lives of millions and the wider economy. No where is the water-scarcity crisis most felt than among farmers when drought strikes. For many of them farming has become a lose-lose venture season after season. And yet, it is easy to take water for granted when every time you open the tap it is flowing. Let your house’s supply be cut off for a few days and you will understand that the phrase “Water is Life” did not come out of the blue. Uganda is blessed with fresh water resources including lakes and rivers. Most parts of the country receive average annual rainfall of more than 100cm. Despite that, 61 percent of our population does not have access to safe water. Our agriculture is largely rainfed – meaning that several communities are stressed during dry season. Some regions such are Karamoja are often struck by forced migrations, starvation and death due to lack of water. There is urgent need for the government to move from conferences and exhibitions and implement programmes that translate into people’s access to water, both for drinking and for production. 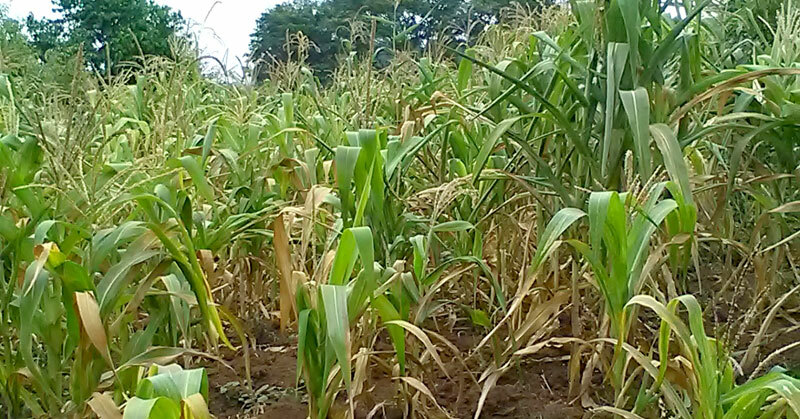 The incessant cries of low or no food production in many parts of Uganda during dry spells are a reflection of our inability to use available knowledge to overcome challenges. There are low cost technologies for example that people can use to tap water during the rainy season and use it during the dry season. Government’s focus on ‘big’ water projects such as digging large dams has not delivered people from water access challenges. The time is now to focus on more localised solution, smaller, but with the ability to create change. Government should establish a revolving fund which farmers can access to put water reserve points at their farm. This, we believe, will go a long way in solving water access challenges and boosting farmers’ productivity and production.